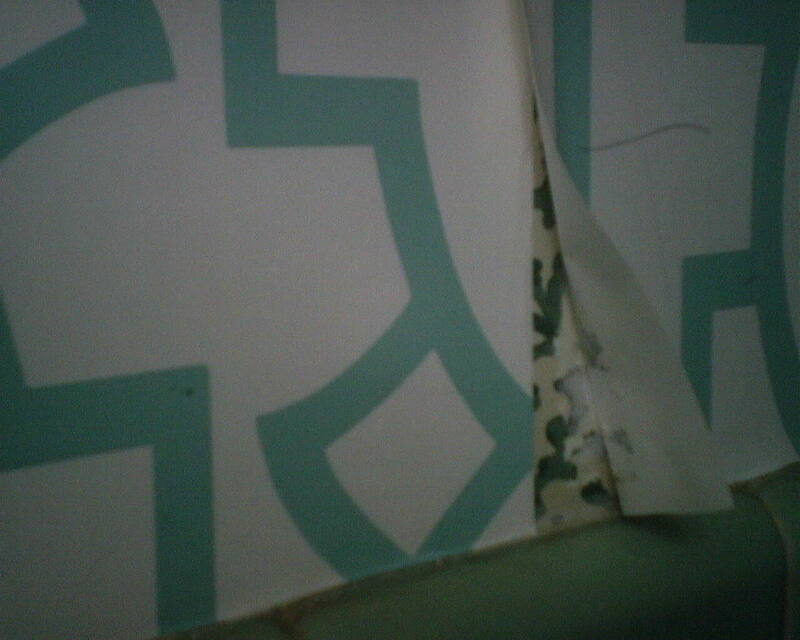 Pre-pasted or hand-pasted material has little to do with it … this poor fellow’s skillset didn’t cover basics like matching the pattern, wrapping corners, butting seams, trimming neatly along the edges, patching over a mistake, removing the old wallpaper, properly prepping the walls, or using an appropriate adhesive (he made a mad dash to a local box store… Sherwin-Williams or Southwestern Paint would have been better). 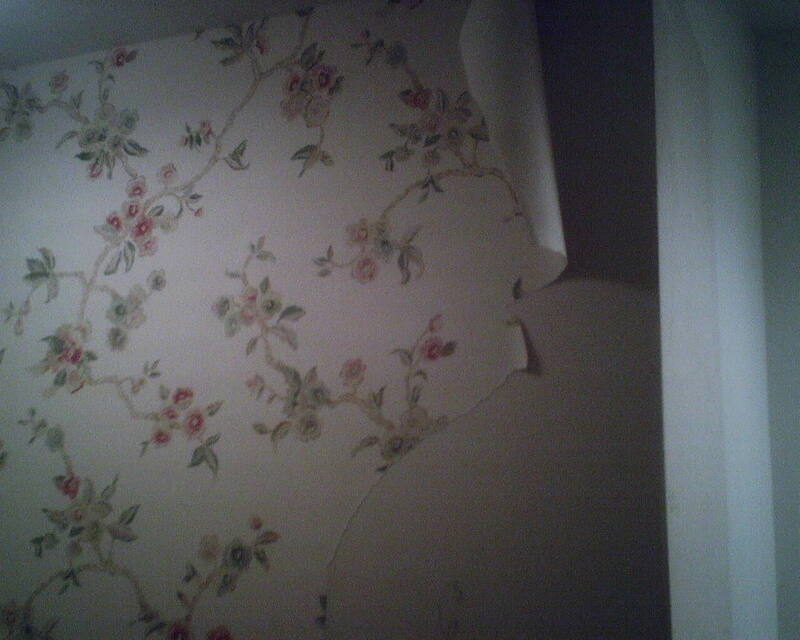 He also failed to remove the existing wallpaper. I am sure that that paper could have been stripped off, with proper knowledge and a little time. 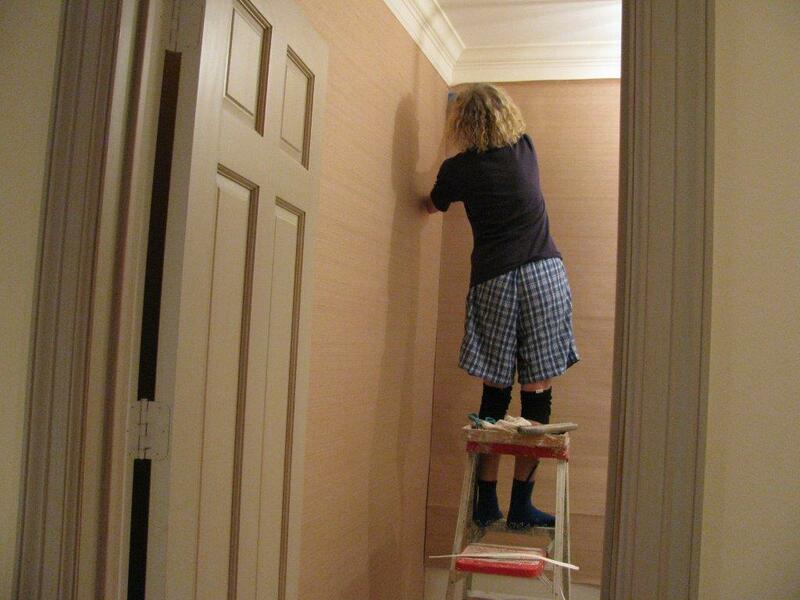 Then the walls should have been primed – another step he skipped. 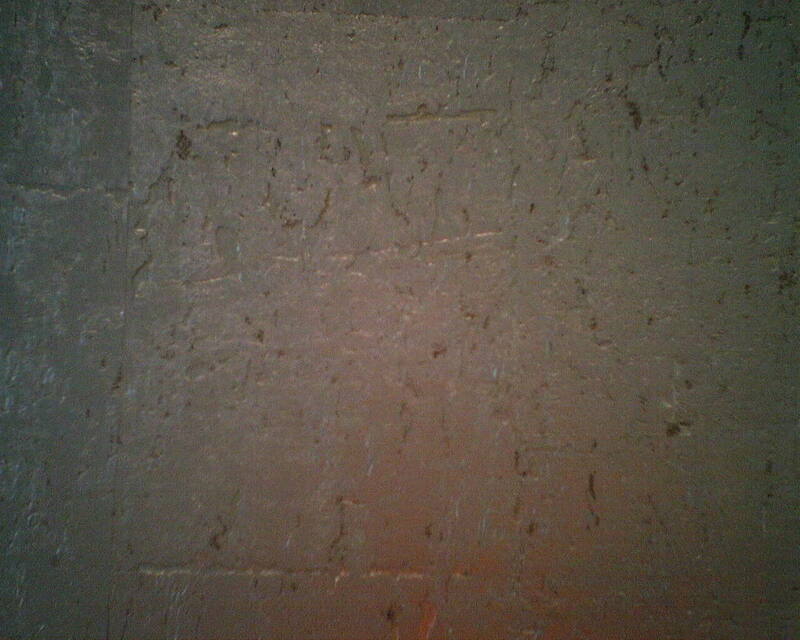 In addition, there is a gummy residue that feels something like rubber cement left along the top of the tile. 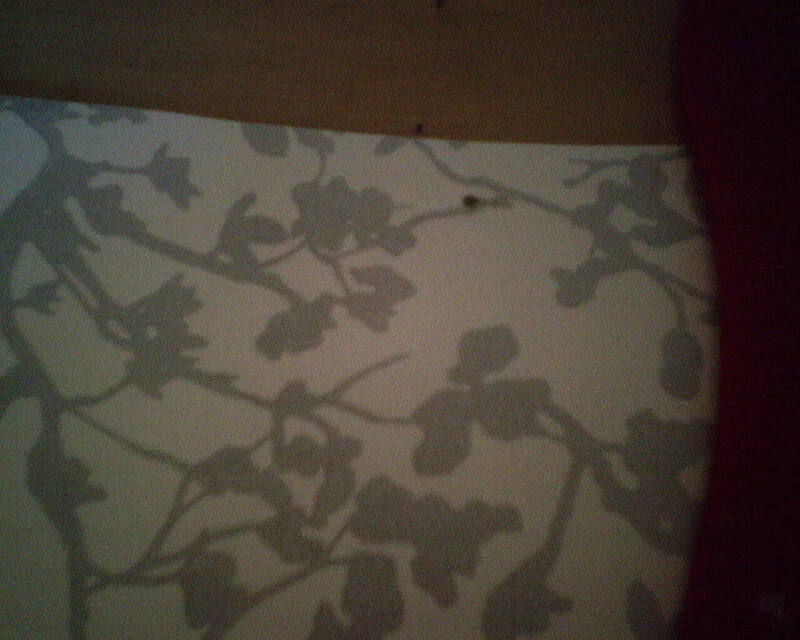 This will be pretty difficult to remove, and any product that can dissolve it will probably stain the wallpaper. 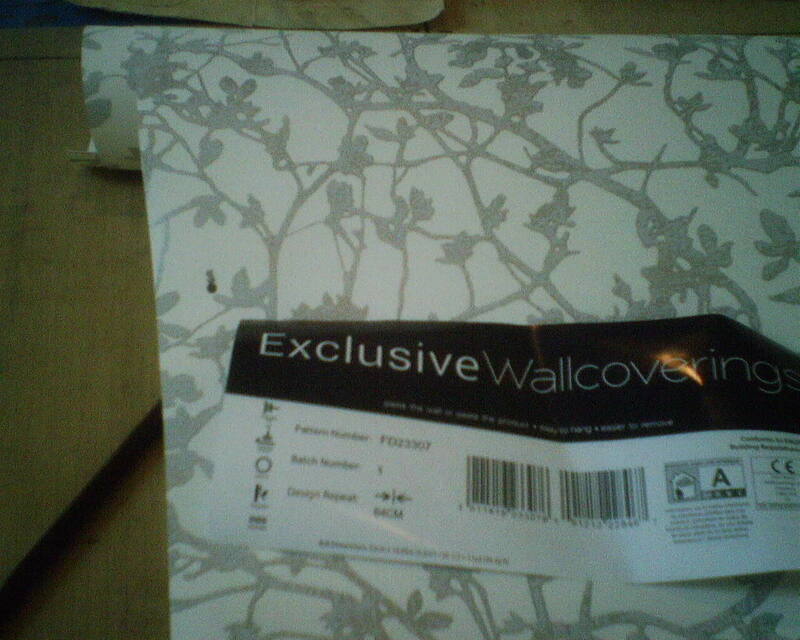 And this rubbery-feeling gunk makes me fear that this wallpaper will be very difficult to get off the wall. 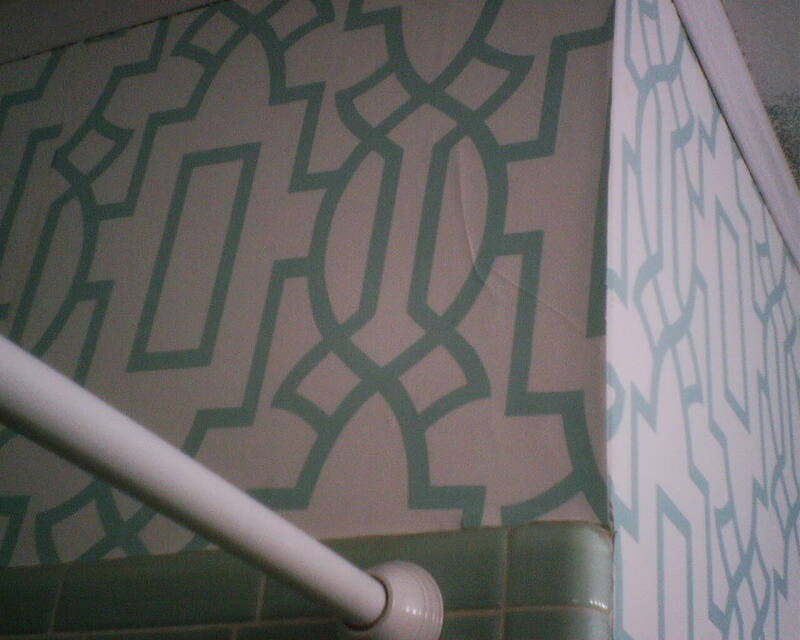 There are some versions of “wallpaper primer” that result in a tacky surface that is great for grabbing ahold of wallpaper – but NOT for letting it go when it’s time to change décor. The bottom line for these homeowners…. 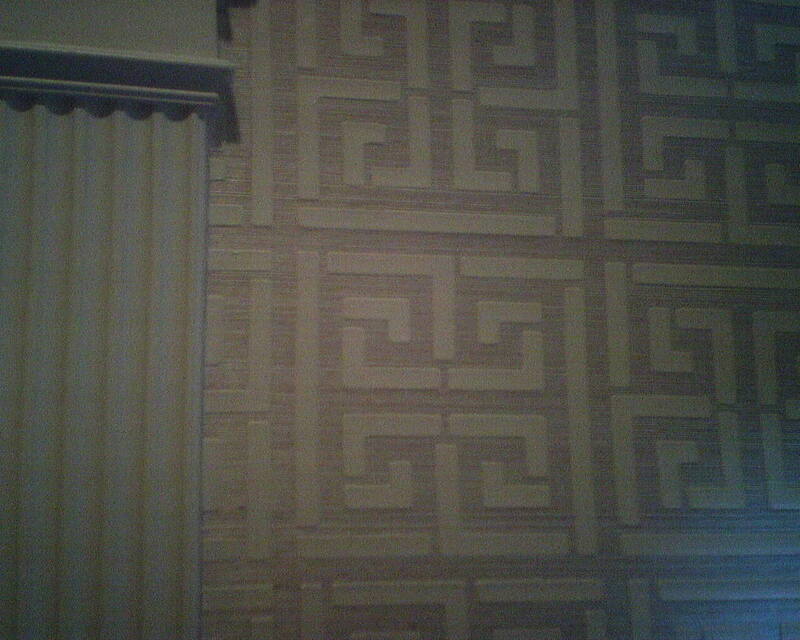 They paid this guy to put up their wallpaper, and will now have to pay me to fight to get it off the wall, fix any damage to the wall surface, subjugate the problematic adhesive residue, re-prep and reprime the wall, and then rehang the new paper. 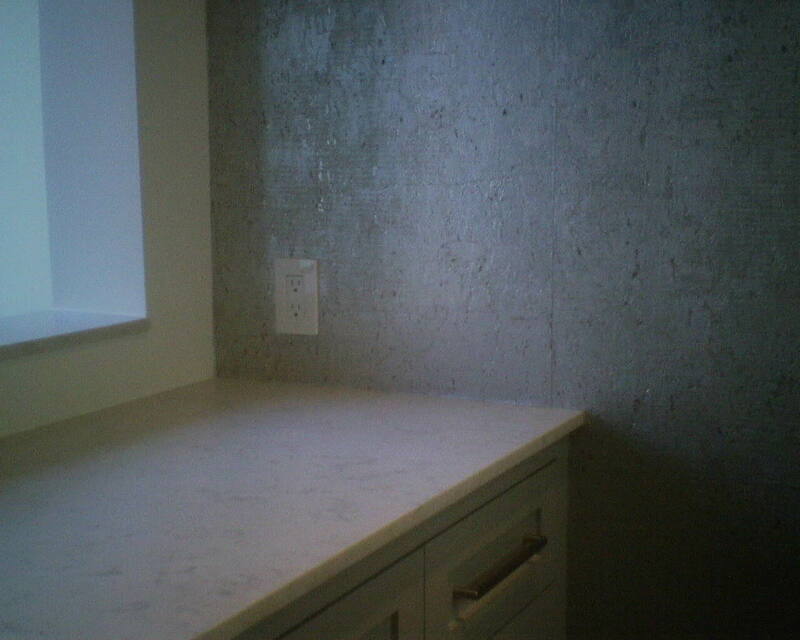 The last photo is from a different house, but shares some of the same problems, most particularly improper wall prep. 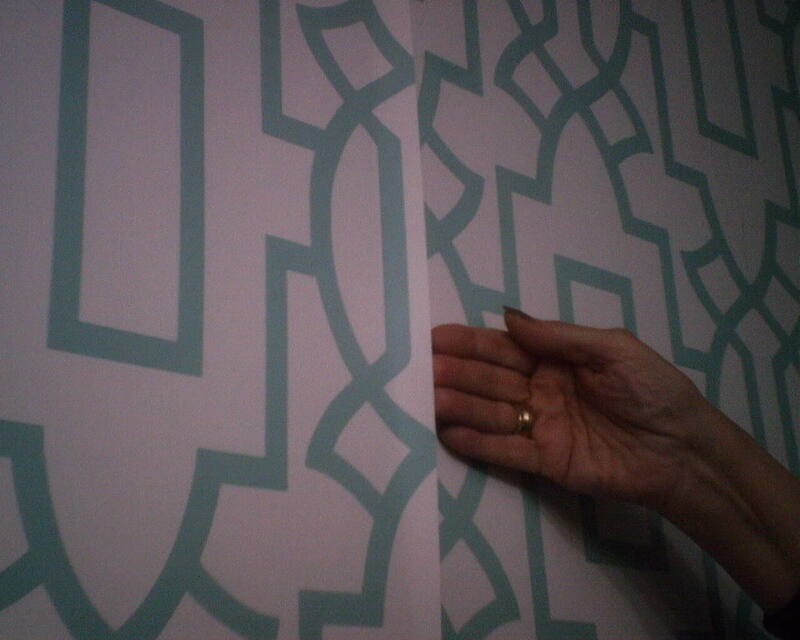 The Fifteen-Hour Foyer Install – Whew! This was one of the most difficult installations I’ve ever done. Many reasons … The grasscloth came un-trimmed, so I had to trim off the selvedge edge by hand for every strip. This is tedious and time-consuming enough with paper, but with grasscloth it’s harder because you have to press hard to get through the thick material. 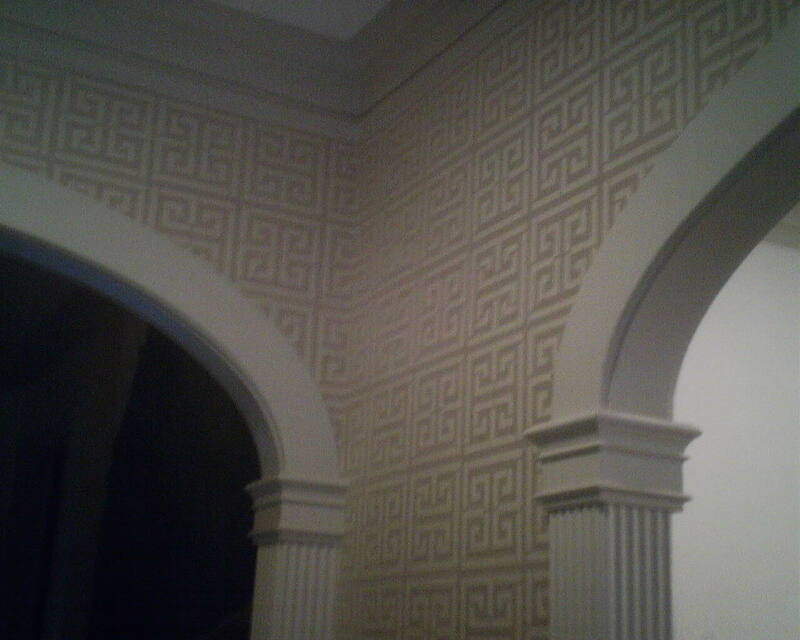 The room itself presents some time-eating elements, namely the intricate molding above the columns, and it takes time (like 20 minutes each) to cut the paper neatly into the curves. 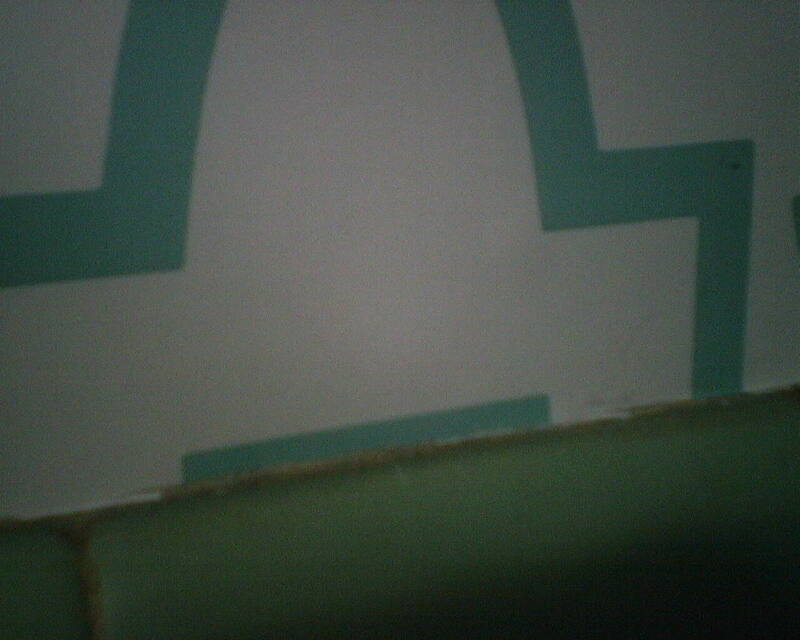 There were six of these curved points, plus four angled blocks in the center of the arches. I told the homeowner to buy 10 single rolls. But the design studio where she bought it told her 8. So she bought 8 – and we were short. So I had to save every scrap, plot and plan, and spend extra time cutting and piecing slivers of left over paper, so we would have enough to do the areas over the arches. 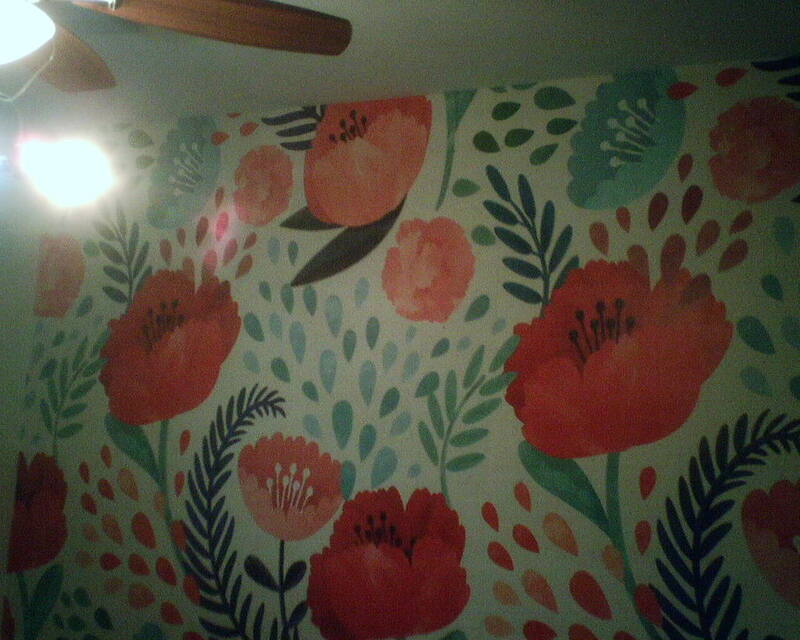 I also had to fudge on the pattern match, in order to have enough paper to do the whole room. 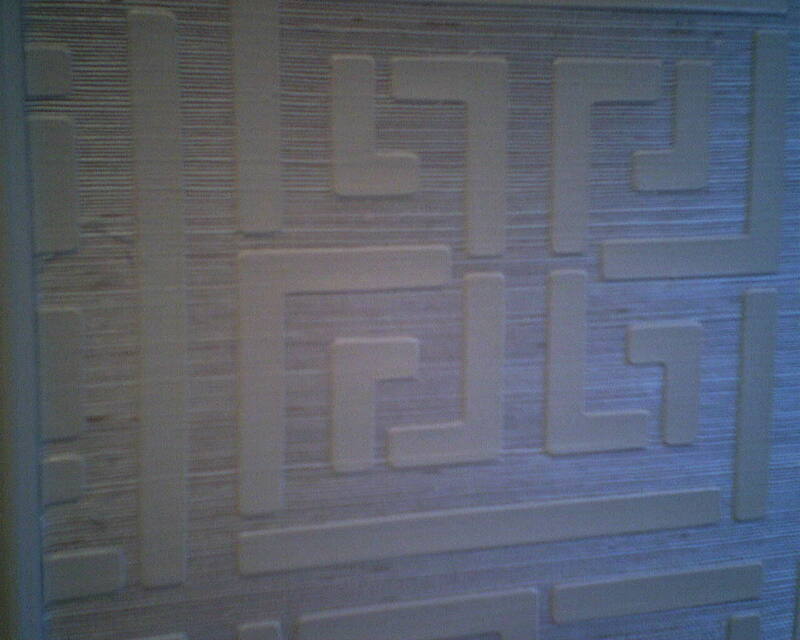 This pattern is forgiving, so it’s not noticeable. 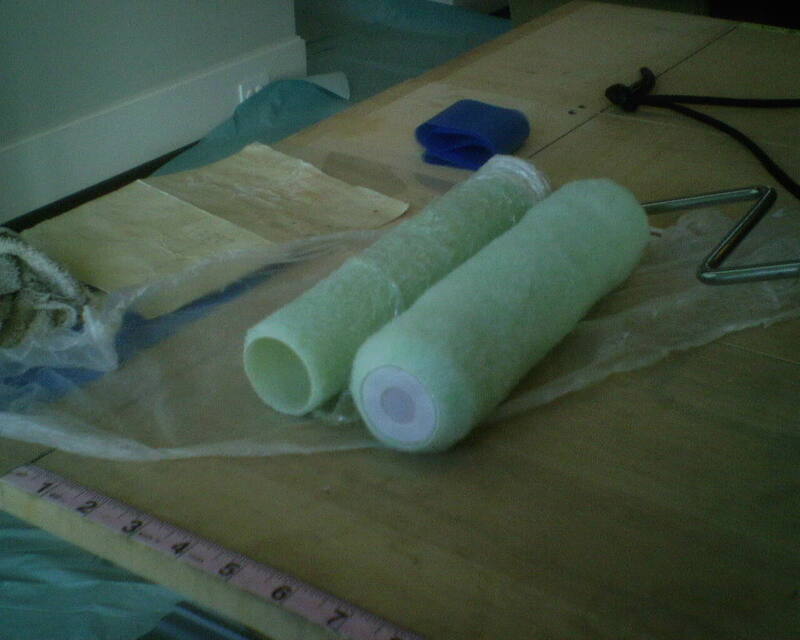 But the main difficulty was the extreme thickness of the gesso-like material on the paper. It was virtually IMPOSSIBLE to cut through. I mean, on the side of one doorway, on a 6′ drop, I spent a full 30 minutes, pressing with all my strength, and went through a good couple of razor blades, just to trim off the excess paper. Every other cut was equally difficult. Where the razor blades would not cut it, I used my $50 Japanese high technology scissors – which I am sure needs to be replaced after the workout it got last night. 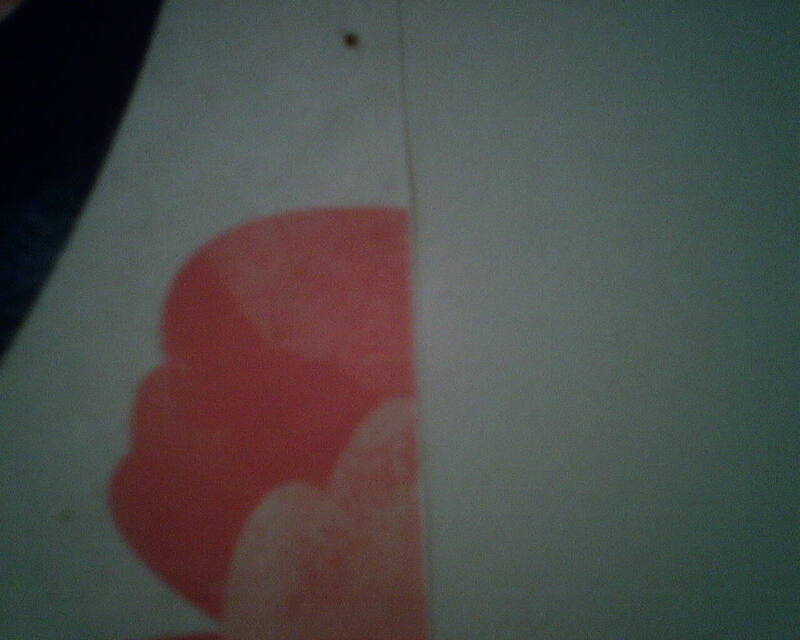 The paper was also uncooperative when it came to wrapping it around two inside corners. It took a lot of work and heavy pressing on it with a special metal plate tool I have, just to get it to look nice and tight in the corners. Other inside corners where the material was cut, there were small gaps between the thick layers of gesso. 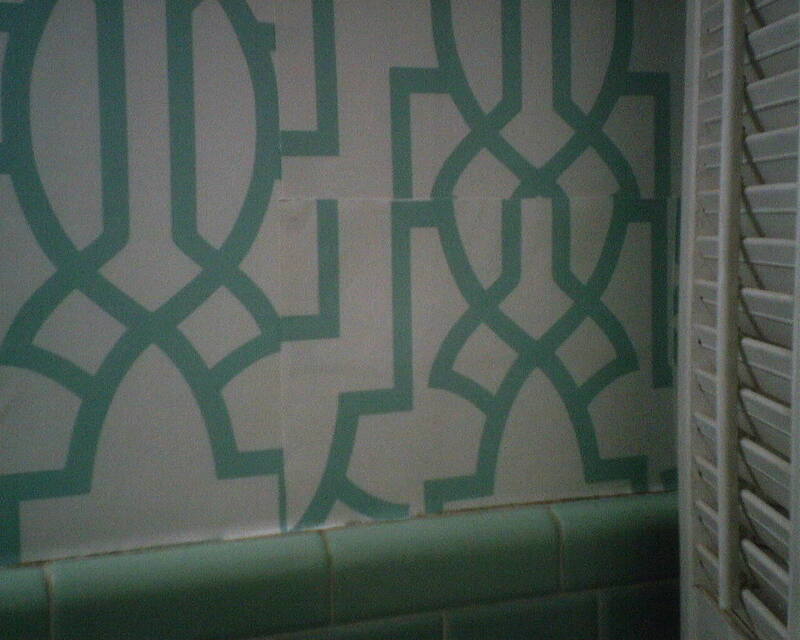 All of these were at the top of the walls, so were not very noticeable. 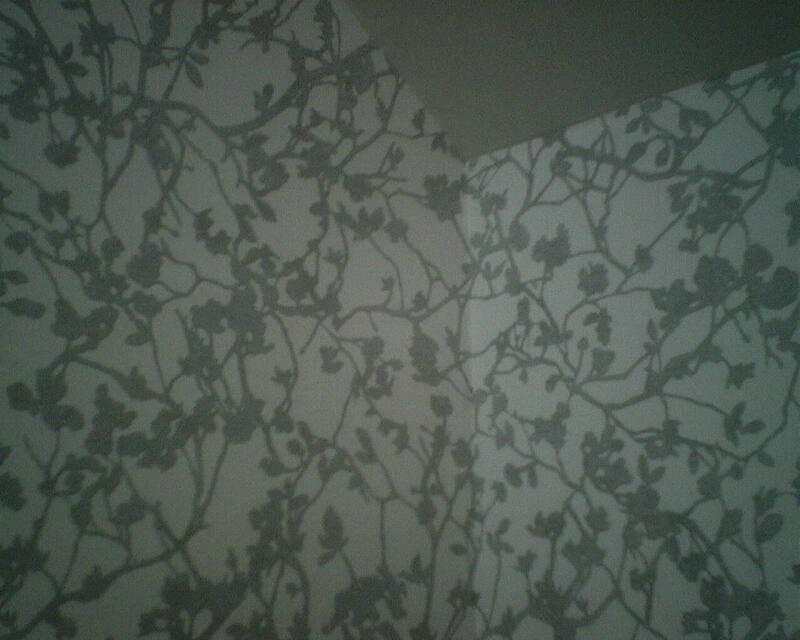 This room should have taken me about five hours to hang, if it had been a regular wallpaper. 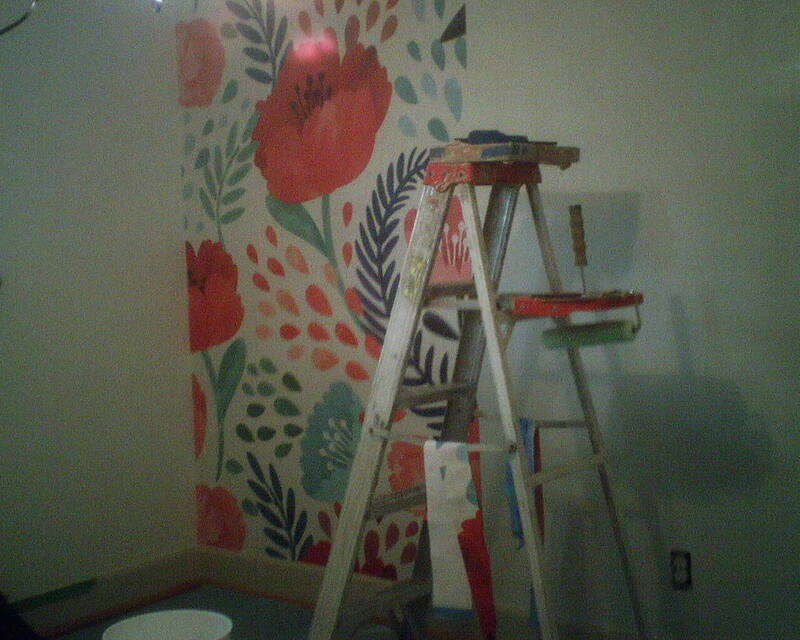 This couple was kind enough to let me work late to get the room finished. However, I was stunned when I finished, loaded up my van, and got in the driver’s seat – I had not realized how very late it was at night. This product is by Schumacher. As usual, their quality control was poor. 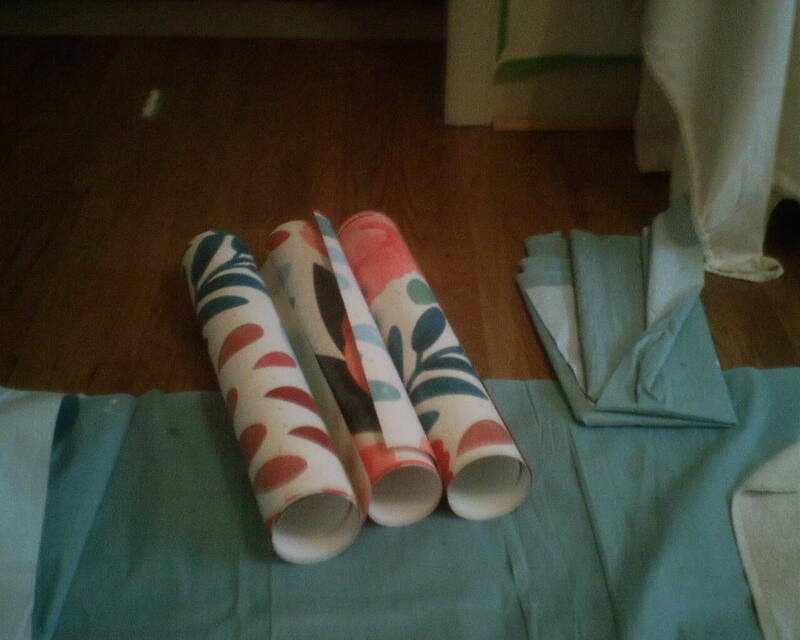 The homeowner had to send back the entire first batch, due to the gesso being smeared. There was one section in the new batch that was messed up, too. The finished room does look great, though, and the thick texture adds a unique and warm look to this West University entryway. 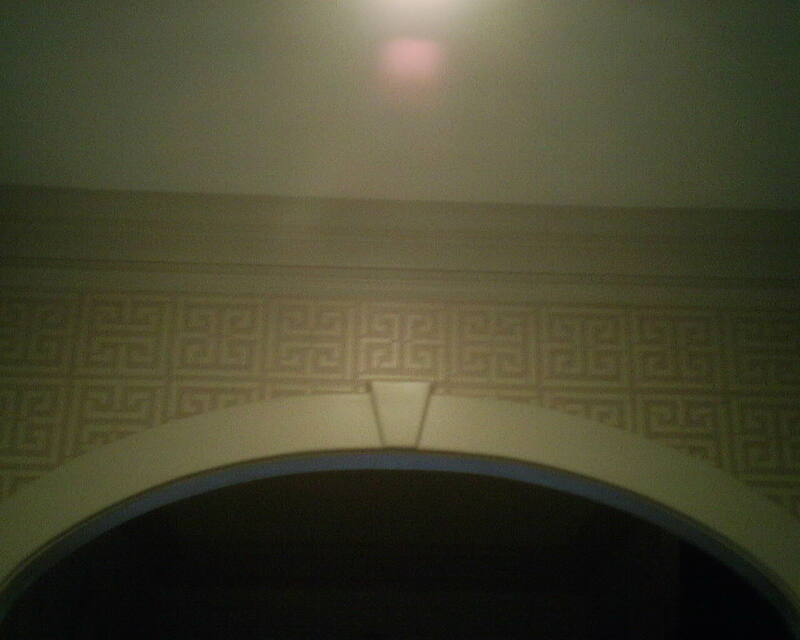 I plotted the pattern so that it would fall in the center of the archway that’s the first thing you see when you walk in the door. It’s been two months since Hurricane Harvey swept across the South, wreaking destruction over much of the city of Houston (and countless communities to the west and east, along the Gulf Coast). By now, many of the homes that were damage have been put 60% back together. 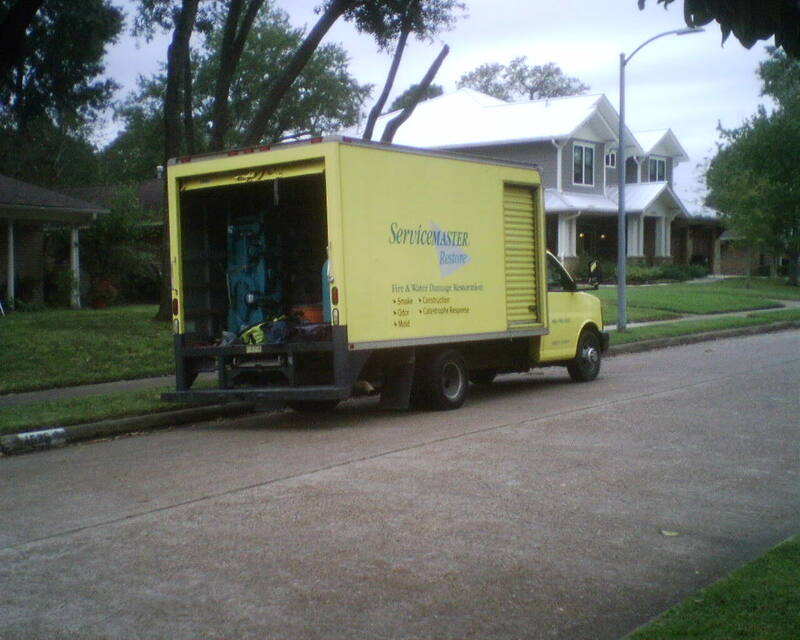 But many home owners are still struggling with the aftermath of the storm – sodden Sheetrock, wet studs, mold, warped floors, ruined doors and molding, on and on. Across the street from where I worked today, ServiceMaster was putting a temporary patch on a roof, to keep out rain brought by the incoming cold front. I am adding this note on February 4, 2018, five months after the storm. Many homes are still not fixed / livable, and a whole lot have not even started. It’s heartbreaking, seeing the families huddled in their upstairs, crammed in with what furniture and possessions they were able to haul up there, with the first floor devoid of drywall, flooring, curtains, not even a kitchen. Many are still living with relatives or in rentals. The stress is hard on relationships, too. It will be a long road back to normalcy. 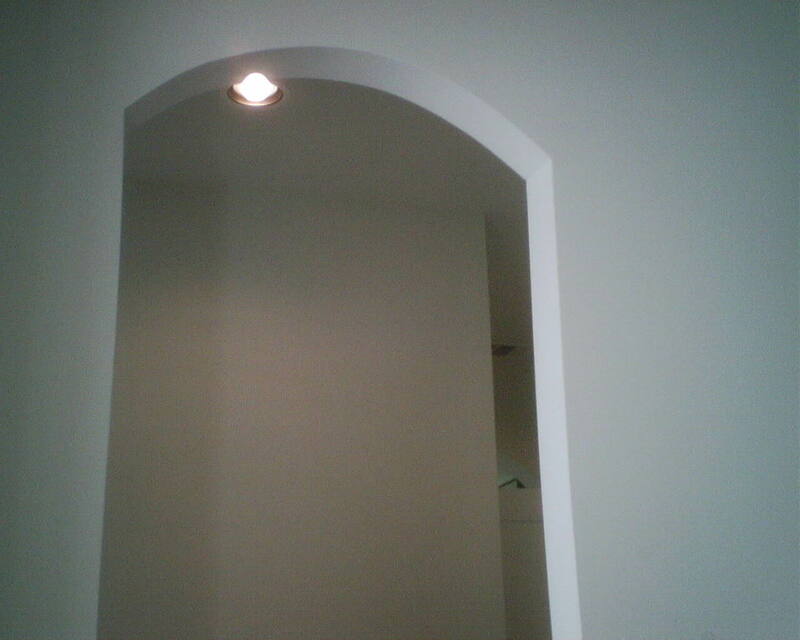 This home in Southside Place (near West University Place in Houston) has a number of significant arches. When you stand at the front door looking toward the back of the house, and there are several full-height arches that you look through, each with its own hanging lantern chandelier. Quite impressive. The arch theme is carried out in other areas of the house, and one is the view from the dining room into the adjoining bar (top photo). 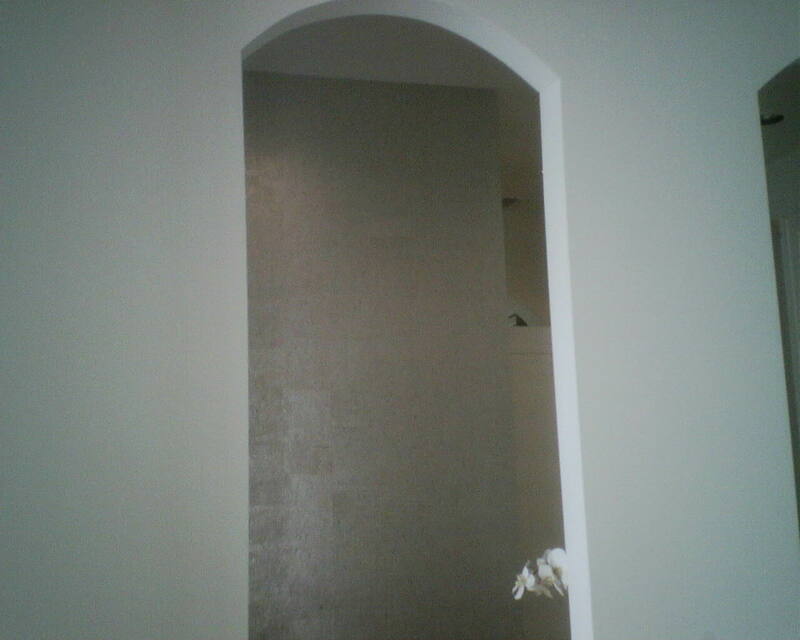 Everything in this new home is white, and the homeowner wanted something to make the view through that arch ‘pop.’ She chose this silver cork wallpaper. It’s flashy but understated at the same time. It certainly adds the excitement she was seeking for the bar area, without overwhelming the calm feeling of the home’s white color scheme. The one on the left is a little worn out, donchathink? 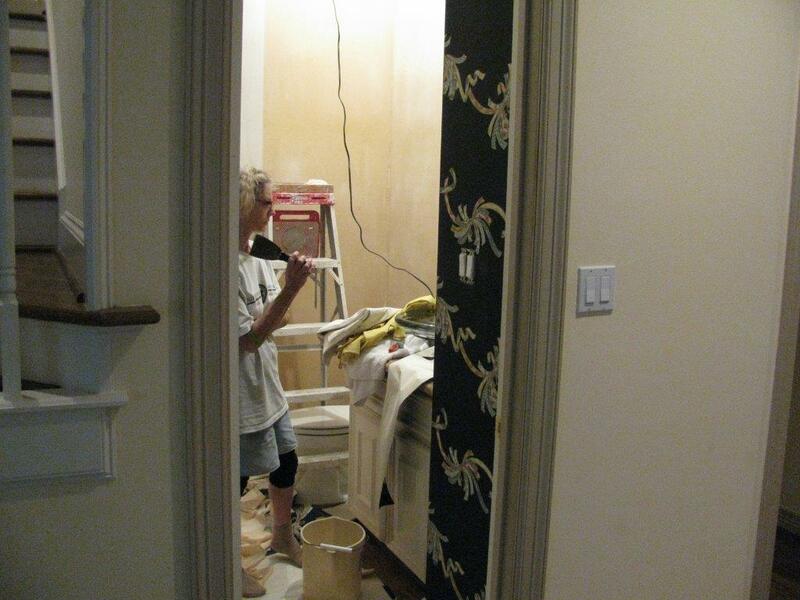 A client just sent me this photos from 2014, of me stripping outdated “ribbon” pattern wallpaper, and replacing it with a calm, finely textured grasscloth. See the black dots? 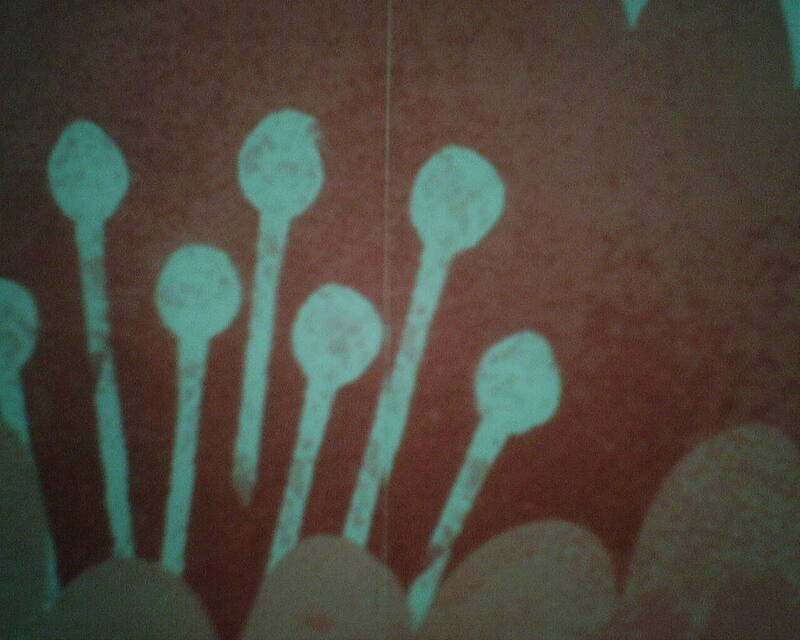 These are errant spots of ink that found their way onto the surface of the wallpaper. They started out heavy, but worked their way down to annoyingly light-but-still-visible within a short time. The spots ran through at least one entire double roll bolt, ruining it. On some other bolts, the dots were lighter, and during installation, I was able to hide many of them. I was also able to plot my room layout, so that when I reached a corner and had to cut the paper (slice vertically), I could plot it so that the part that was cut off was the part with the ink spots. 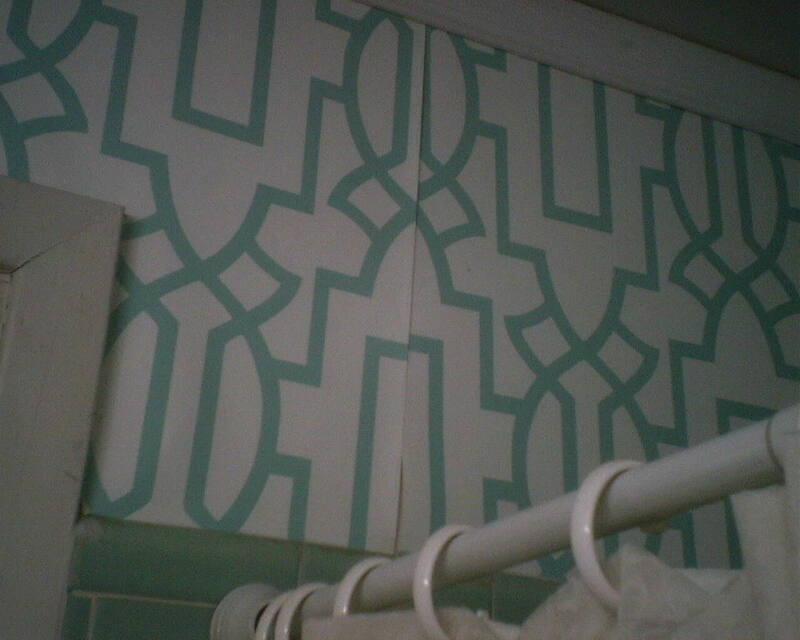 This wallpaper is by Exclusive Wallcoverings, was printed on a non-woven substrate, was hung in a powder room in the Houston Heights neighborhood. 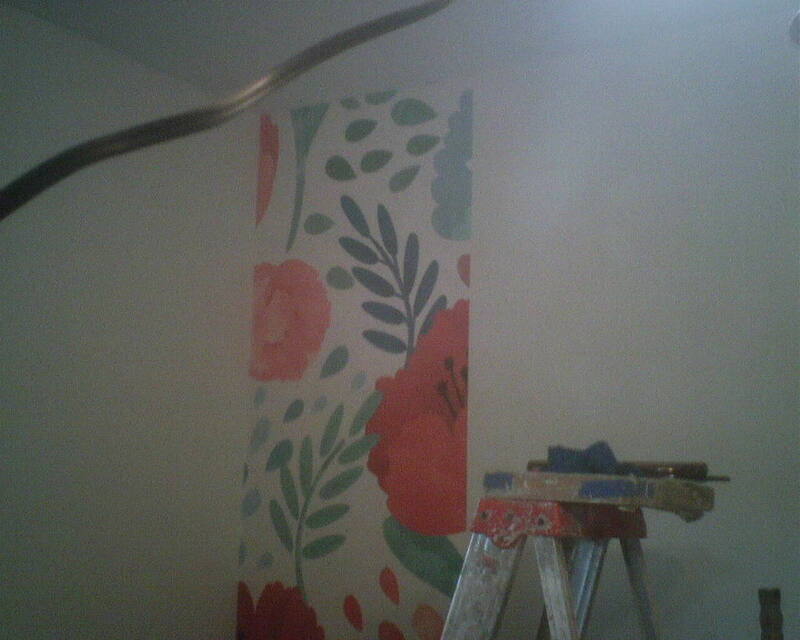 When hanging wallpaper, when you get to a corner, you’re supposed to cut the paper vertically in the corners. You leave a little bit, like 1/8″ of the paper, wrapped around the corner. 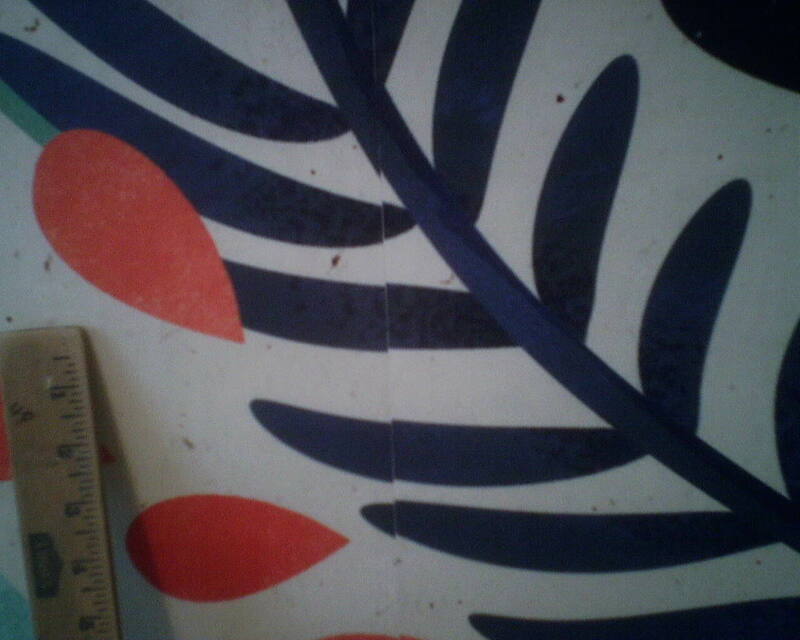 Your next strip is overlapped onto this wee 1/8″ strip. 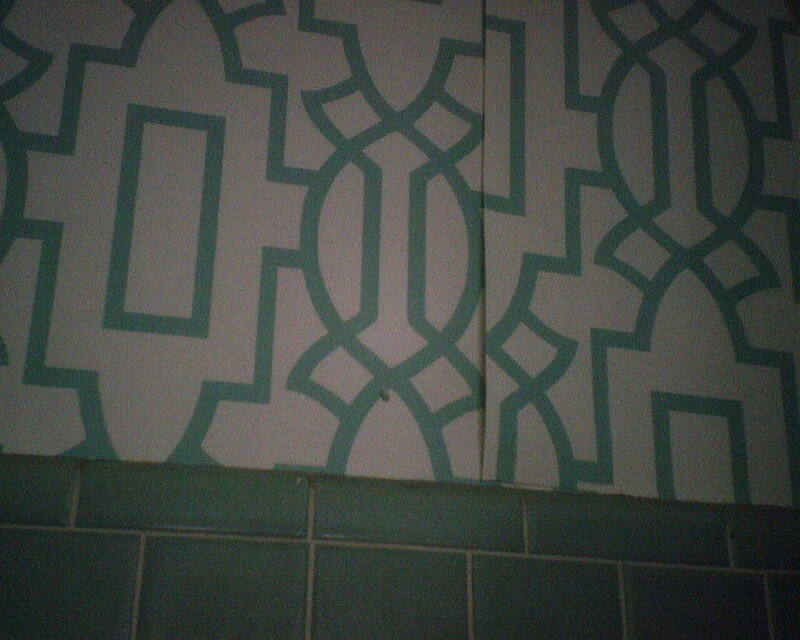 The bad thing is, by overlapping the two strips, you will have lost some of the pattern – like the 1/8″ mentioned above, running from floor to ceiling. That is infuriating, but it’s also distracting to the eye, because you will be left with a rather obvious pattern mis-match. 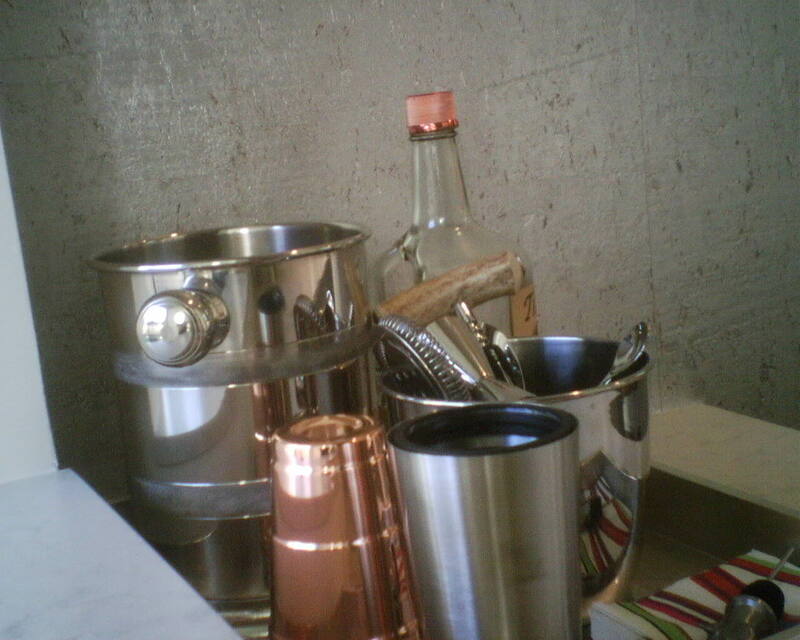 However – I can often make the corners look much better. 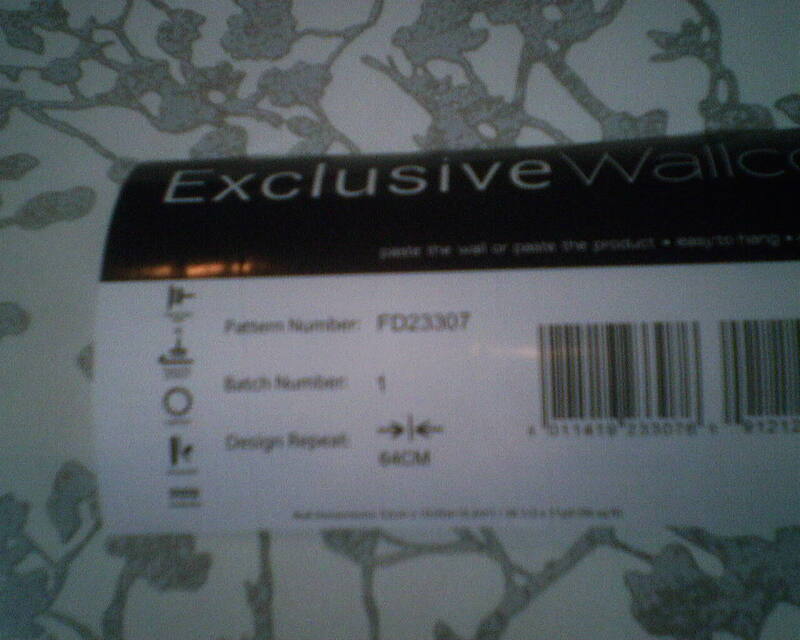 If you buy a little extra wallpaper (at least 2 single rolls, which will come packaged as one double-roll bolt), there will be enough to cut the next piece from a whole new strip, and then that strip can be trimmed to match the pattern on the wall as closely to perfect as possible. See photo. Note: This does not mean that every corner is going to be absolutely “perfect.” Unplumb walls, bowed walls, paper expansion, to name a few factors, will all come in to play there. The goal is to get them as close to perfect as possible, and if not, then to at least look perfect. You are currently browsing the Wallpaperlady's Blog blog archives for October, 2017.